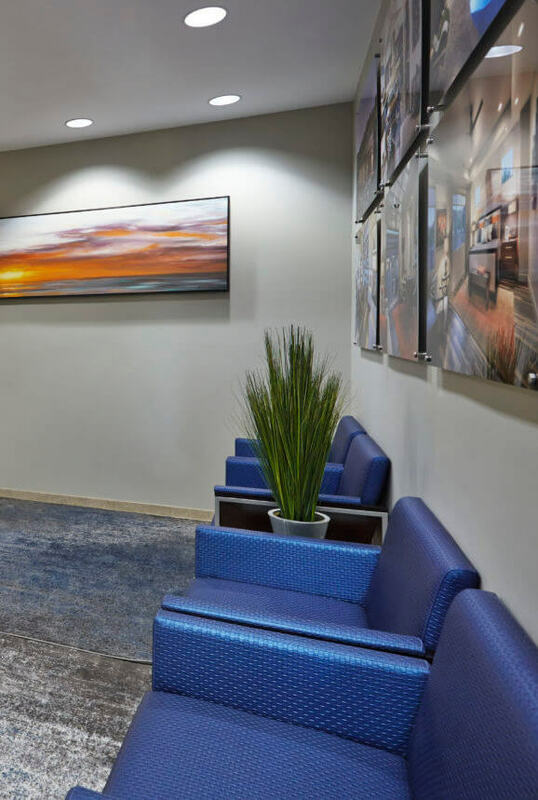 The design goal for this national builder’s office was to reflect the company’s work; organized, updated and engaging. The lobby needed to be colorful and energetic. Bright pops of cobalt, carried over from the builders logo, draw the eye around the room and the entire space. 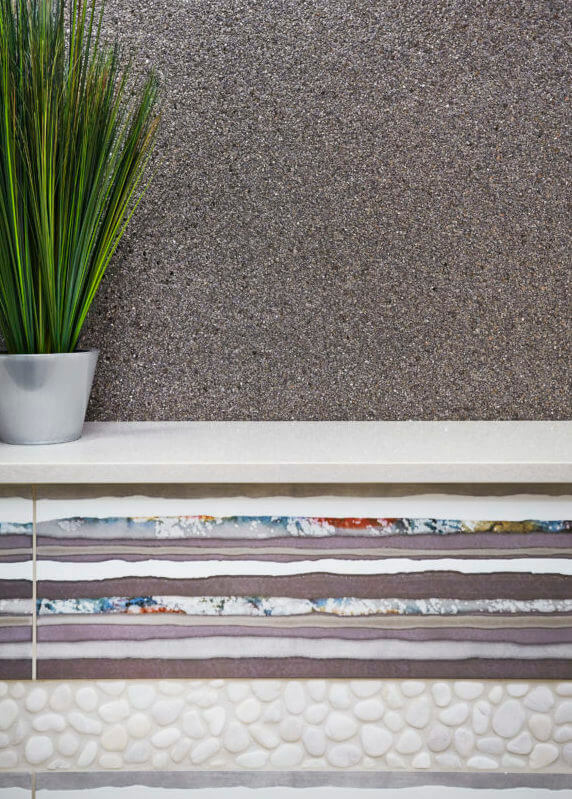 A focal wall features unique porcelain tile, organic white pebbles and textured rock wallpaper in metallic tones. The builders work is brightly displayed with photography of their work printed on metal. For main work areas, a collaborative environment with multiple touchdown spaces and semi-private cubicals was important. The cubicles while traditional in thought, each feature a sit to stand desk, ergonomic chairs, wire management and a white noise system that controls distracting external sound. 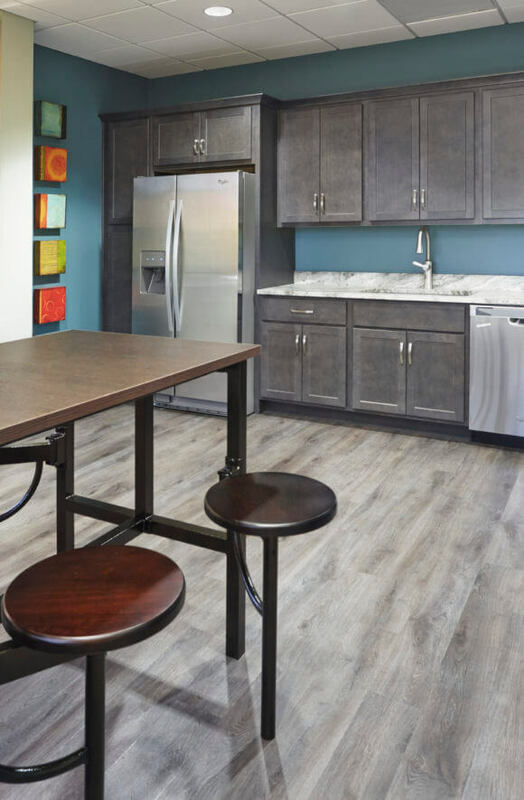 For collaboration sessions, there are large work stations and a casual break room. Colorful art and accessories, as well as accent walls in shades of blue are seen throughout to further enhance this cohesive space. 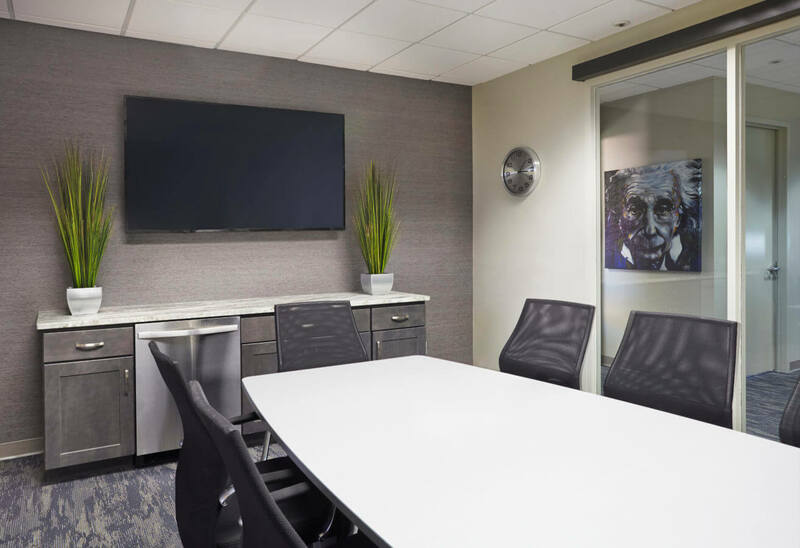 Every work space features a sit to stand desk, ergonomic chairs, wire management and a white noise system that controls distracting external sound. 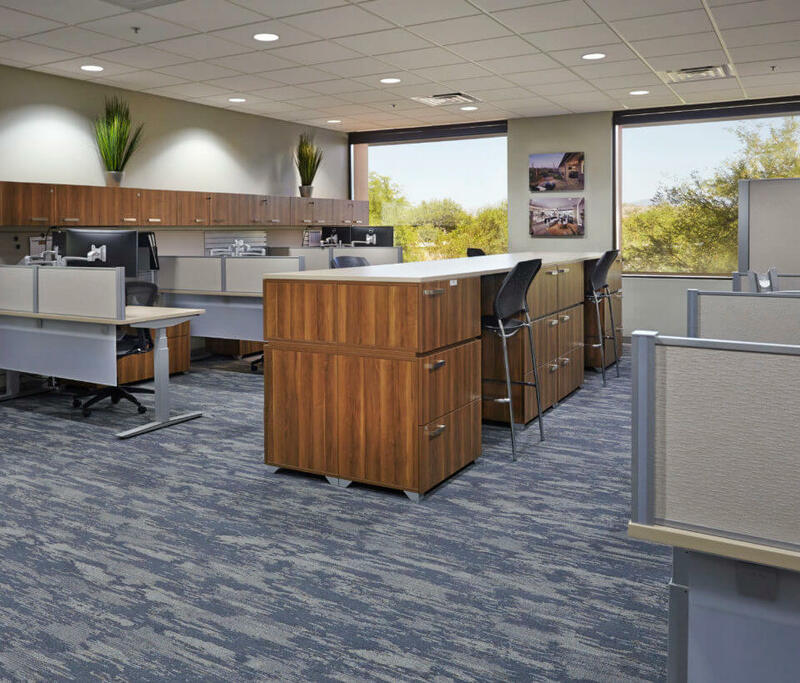 Warm wood tones help offset the harshness that cubicles can sometimes be known for. The energetic break room doubles as a lounge area with adjustable bar style seating and lounge chairs with tables in the corner. The focal wall features a unique porcelain tile mixed with organic pebbles and a textured rock wallpaper in bronze metallic tones. ASID Arizona South 2017 First Place Commercial Space under 8,000 sq.ft. Carried over from the logo, bright pops of cobalt in the furniture, rugs and art, draw the eye around the room. Einstein would be impressed with the level of sophistication and technology that can be found in this conference room.